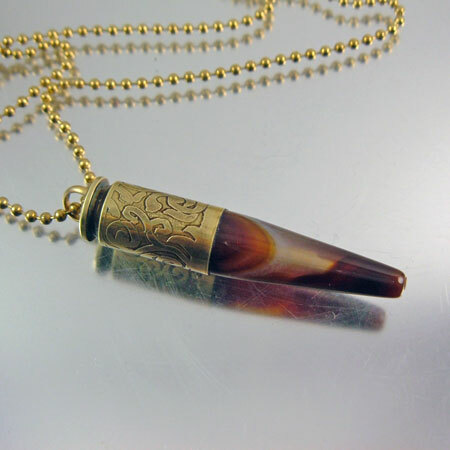 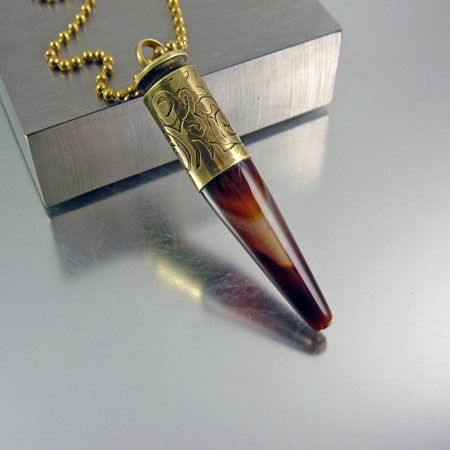 40 Caliber Bullet casing necklace with a beautiful coffee color agate. 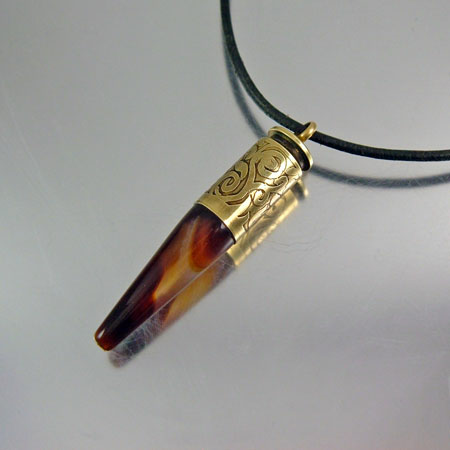 This .40 casing has been hand drawn and fitted with a natural agate gemstone. 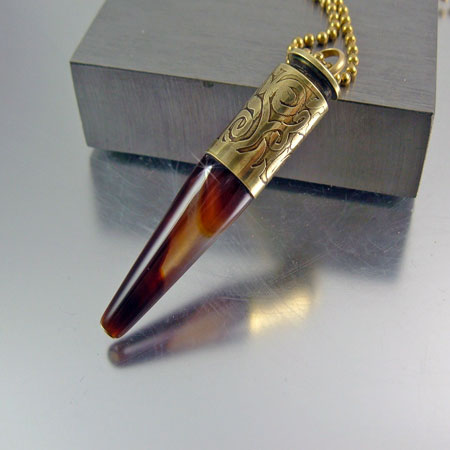 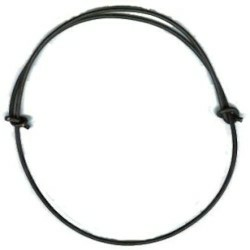 Worn on a short or long necklace this is a stylish and eye catching design.